Below are detailed step by step instructions how to do this. Step 5: You can also save or write down your private key. Step 7: Now, to see your address, upload your private key. Step 8: Upload your Keystore file. Step 10: Once your wallet is unlocked, you can scroll down to see all details. Including the wallet address which you’ll need to send ETH from the exchange to the wallet. We’re going to show you how to buy ETH with your debit card on the Coinbase exchange. However, you can use a number of exchanges like Kraken, Bitstamp and many others. Search at Google to find many options in your region. Step 2: After filling out your personal info, you need to verify your email address. Open your inbox and click the “Verify Email Address” button. Step 4: Choose your country (1) and cellphone number (2), then click “Next” (3). Step 5: After you phone has been verified you will need to verify your identity using an ID. Click “Start Verification” and choose the document you want to use. Step 6: This is going to open a window for you to take a picture of your document with a webcam. Allow Adobe Flash (1) and Your Browser (2) to use the camera. Congratulations! Your account is now created and verified. Step 1: Once you’ve confirmed your identity, you’ll be prompted to add a new payment method. Step 2: Choose the second option and add all your credit card information (1) and click “Next” (2). Check the example below if you have any questions. Done! Now it’s time to buy some crypto using your credit card. If you don’t want to use your a card, you can also choose the “Bank Account” option and follow the steps provided by Coinbase. And you’re done! You are now officially an Ether (ETH) holder. Now you need to send ETH to the wallet we previously created in Part 1. Please, don’t send ETH directly from an exchange as it will result in the loss of Aeron tokens. Step 3: You will see payment address and amount in ETH displayed in the screen. Step 6: Enter the payment address from Step 3 above, and how much you want to send. Click “Generate transaction” and then “Send transaction”. 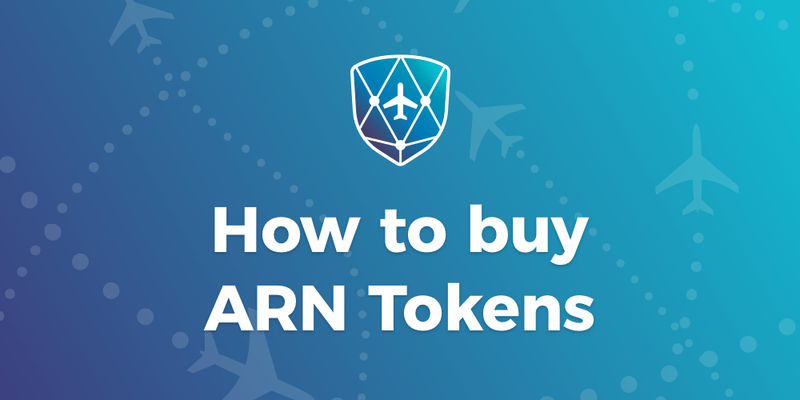 Step 8: Wait for the transaction to be confirmed on the blockchain, refresh the screen at https://tokensale.aeron.aero/ and see the transaction confirmation along with the number of Aeron (ARN) tokens allocated to you. You will also receive transaction confirmation by email. Step 9: Congratulations! Now have successfully purchased Aeron tokens!